Our unique Paul Bunyan Beaver Cookies are like no other. 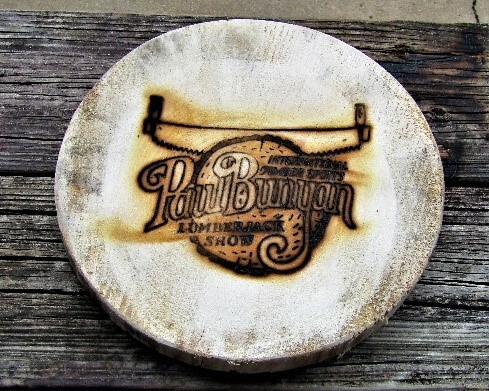 We brand our one of a kind Paul Bunyan Lumberjack Show Logo right on the disc. 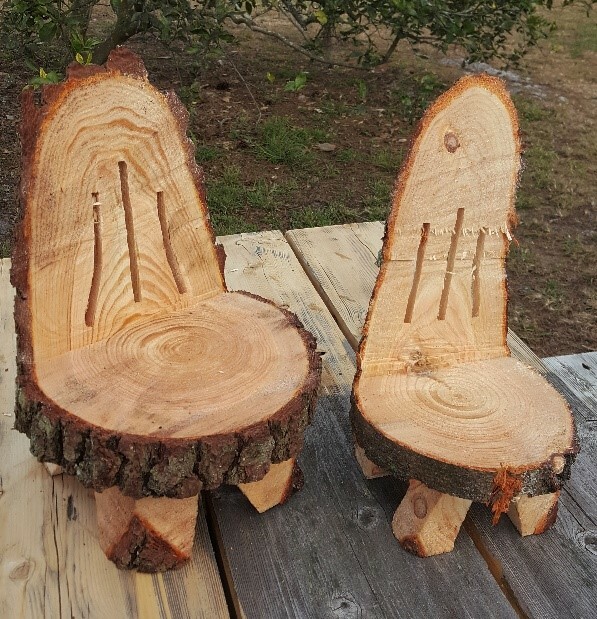 They are made from various wood, White Pine, Poplar, Aspen or Cypress. Whichever type of wood we are cutting. They range from 9” to 11” in diameter and are 2” thick.